Before fame, Bryson Tiller was a struggling musician and often slept in his car. Now he is selling out huge venues at a $65 ticket. 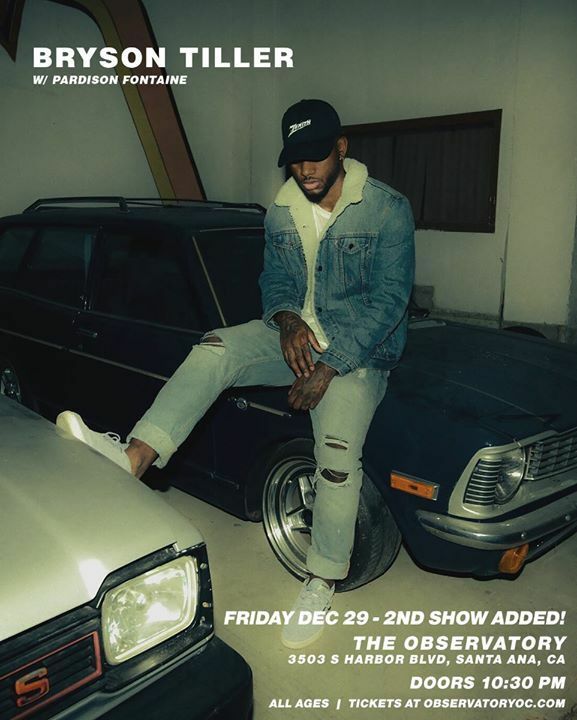 If your in the Santa Ana area be sure to check him out at The Observatory, Fri, Dec 29th. Get your tickets here.